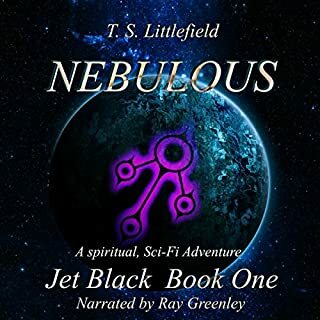 Where does Nebulous rank among all the audiobooks you’ve listened to so far? A gripping young adult adventure novel. I love how the author deftly weaves the adventure and relationship of Jet and Travis throughout, an adventure filled with magical powers and fantastical imaginings. The best part of the book is that it has wide appeal. It can be read by younger audiences as well as adults, and has a sustained intrigue (sparked by the mysterious letter from Jet's grandpa). Recommended due to its strength as a cohesive, compelling read.